You know how much I love my chooks. And that I have a fox problem. Well, turns out I really love my neighbour's chooks too. I heard a dreadful squawking today at about ten in the morning. 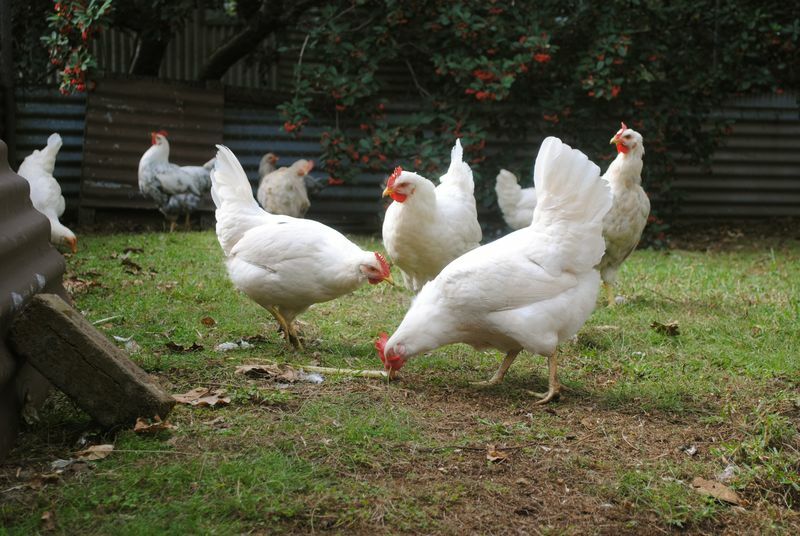 It was raining, I'd just let our chooks out, Adam and the kids were all out. I went rushing out, and there was a fox, dragging off my favourite neighbourhood Casanova, that gorgeous guy below. He belongs next door and Adam says he's completely unaggressive as he's the only rooster left and he has two sizable flocks to service. Completely knackered from looking after the ladies, says Ad. I yelled, of course, then ran and grabbed an axe from the garage. And also a mattock, nearest thing to hand. I charged after the fox, who dragged Casanova under a bush. I almost reached them and the fox let go and ran off. He turned around and had a look at me and I tried to look dangerous, he ran off anyway. I went back to the bush and I could see poor Casanova moving slightly. There were feathers (his) everywhere, he'd put up a very good fight. I knew I was going to have to bang him on the head to put him out of his misery, and just as I was gathering up my courage, he stood up. And walked away. He didn't look so hot, so after I got over the shock of seeing him undead, I followed him and tried to encourage him back into his coop with some scraps but he just wanted to hang out quietly on his own and think about his lucky escape. Casanova stayed under cover all day and retired early to the coop. And for the first time in my life I wished like crazy I'd had a gun and a license. In other news: everyone under this roof slept through the night last night. All night. Any more sleep and that fox had better watch it, I'll be greased lightning with an axe and a mattock. Grrr. Glad you are getting some sleep. For selfish reasons of course. I so look forward to my slice of your life in the mornings! When you up this neck of the woods?? The Sleep Fairy must be out and about this week because magic has happened in our house too and I share your rejoicing! Doesn’t it feel good!! May her work continue. well done you brave fox chaser you!!!!! Wow, this story has it all: axe-wielding medieval maiden, fearsome evil creature, and a zombie chicken! Glad it all worked out OK.
You go girl! We have serious fox problems here too. The eagles like to pluck the ducks as well. I hope you have another good night sleep. good work. Would have love to be a passing fly on the wall! 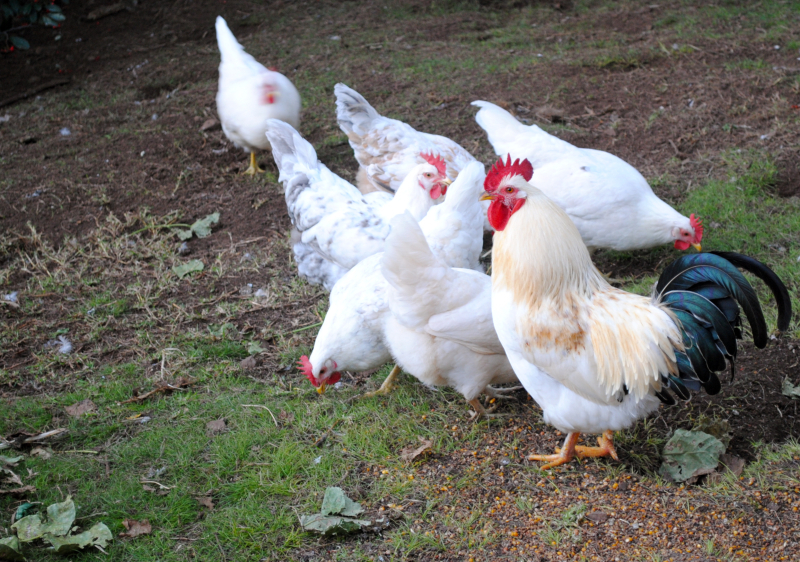 in our news – the neighbours chickens got eaten by what looks like a fox last night. Must remember to close pen every night…. Sometimes if you see a fox during the day, one bold enough to do that it is a sign the fox could be rabid.